These three geese are all dressed up for their daily walk. 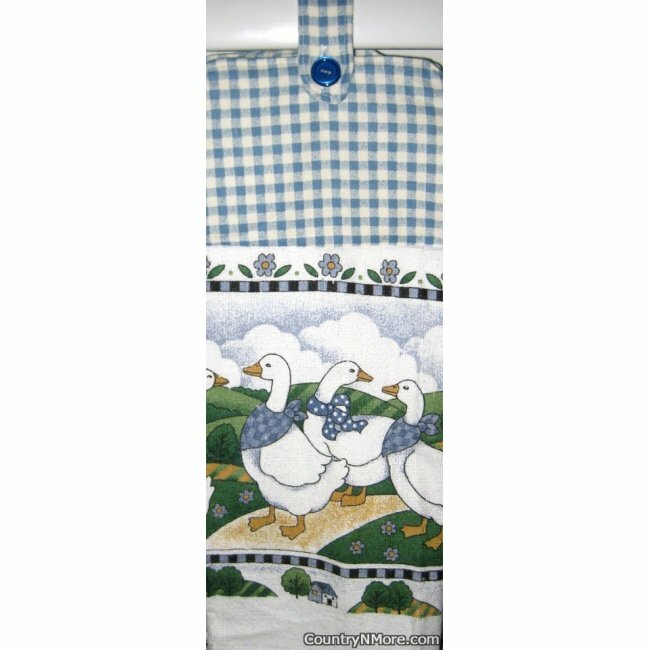 The oven door towel also has a country home and trees at the bottom of the towel. The fabric top was made using a blue and white checked print. 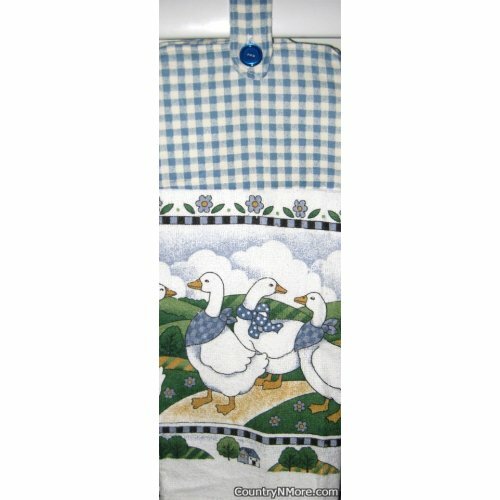 We use full length towels for all of our oven door towels, and every oven door towel has a button closure.